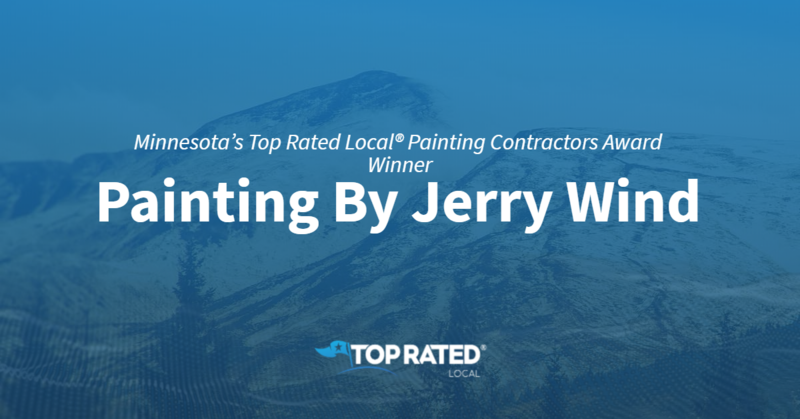 Top Rated Local® is pleased to announce that Painting By Jerry Wind is an award winner for painting contractors in 2019. If you are looking for a painting contractor that will offer you only the best when it comes to service and product, look no further than this award-winning company! 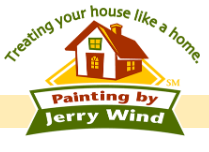 Painting By Jerry Wind has received many overwhelmingly positive reviews across four different verified sites with an average rating of 4.72 stars, earning them an impressive Rating Score™ of 95.17 and a 2019 Top Rated Local award for ranking as one of the top 10 painting contractors in Minnesota! It is because of excellent reviews like this that Painting By Jerry Wind is now able to call themselves a Top Rated Local award winner! We were excited to learn all about how Painting By Jerry Wind has been able to build such an impressive reputation, so we sat down with the owner, Jerry Wind. With years of experience and such an incredible reputation, we were excited to learn more about some of the ways they have gotten the word out about their business. For starters, they are sure to keep their reference list up to date. In order to get their work recognized, they have sent out postcards for past jobs. They always ask their clients for reviews, which has led to word of mouth and referrals being their top source for new business. Congratulations to Painting By Jerry Wind for being a 2019 Top Rated Local award winner, and special thanks to Jerry for taking the time to speak with us! 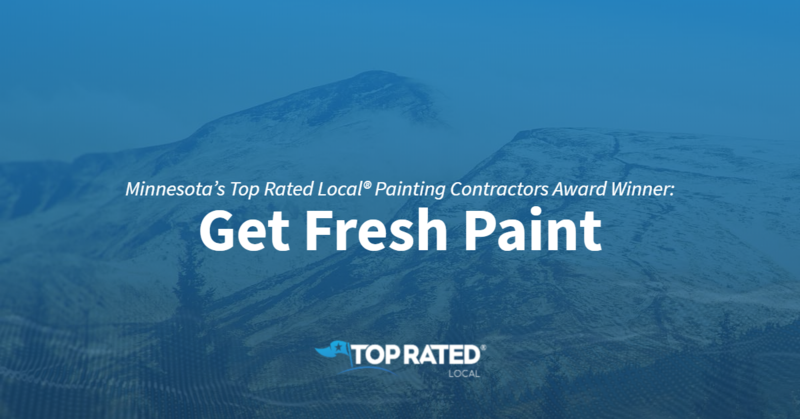 Top Rated Local® is pleased to announce that Get Fresh Paint is a 2019 award winner for painting contractors in Minnesota! Refresh your home with a fresh coat of paint from the expert at Get Fresh Paint in Maple Grove. Get Fresh Paint has received dozens of reviews on three verified sites with an average rating of 4.85 stars, earning them a fabulous Rating Score™ of 94.46 and a 2019 Top Rated Local award for ranking among the top 10 painting contractors in all of Minnesota! “These guys are awesome! After several bids, we went with Get Fresh Paint — not only because of their pricing, but also due to their responsiveness and urgency. They painted our interior top to bottom, every wall, every piece of trim. Since then, we’ve used them on the exterior as well as more small jobs around the house. They are AWESOME!” – Brad T.
In order to learn a little more about Get Fresh Paint and its fantastic online reputation, we took a few minutes to talk with the owner, Jon Hayme. The first question we had for Jon was what sets Get Fresh Paint apart from their competition in Minnesota. Jon points to their longevity and reputation. Jon attributes Get Fresh Paint’s strong online reputation to their commitment to doing what they say they’re going to do. When we asked Jon how Get Fresh Paint has grown outside of building a powerful online reputation, he told us that they simply focus on hard work, which earns them word of mouth. Congratulations to the team at Get Fresh Paint for being a 2019 Top Rated Local award winner, and thank you so much, Jon, for taking the time to speak with us! We highly recommend Get Fresh Paint in Maple Grove. Visit their website today! 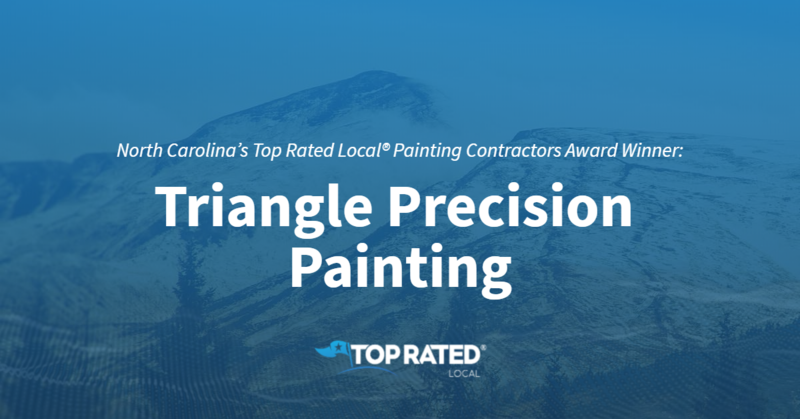 Top Rated Local® is pleased to announce that Triangle Precision Painting is a two-time 2019 award winner in North Carolina! Nothing brings new life to your home or business like a fresh coat of paint, and in Raleigh, there’s no better painting company to turn to than Triangle Precision Painting. Triangle Precision Painting has received more than 100 reviews on six verified sites with an average rating of 4.94 stars, earning them a tremendous Rating Score™ of 99.40 and a 2019 Top Rated Local award for ranking among the top 10 painting contractors in all of North Carolina! “[They did] absolutely the best job! We’ve had the exterior of our home painted three times (!!!) over nine years, and this by far is the best paint job we’ve received. Kyle was prompt to answer, prompt to come out and give us an estimate and quick to schedule us. Kyle’s team was thorough, worked hard all day and got the job done in just a couple of days — job very well done. Kyle also stained our columns, a gate and grill table very much to our satisfaction. We have found our permanent painter! Thanks, Triangle Precision Painting (Kyle), for a job well done!” – Curtis H.
Kyle Hayes, the owner of Triangle Precision Painting, generously gave us a few minutes of his time to tell us about his award-winning business and its outstanding online reputation. The first question we had for Kyle was what sets Triangle Precision Painting apart from their competition in North Carolina. Kyle points to the fact that they always stand behind their work, and that their job isn’t done until the client is satisfied, as well as to the experience they’ve gained in their 14 years of business. We also wanted to know what their mission is at Triangle Precision Painting and how they work to make the world a better place. Kyle told us that their mission is to bring about an artistic way of thinking to interior home painting. Kyle attributes Triangle Precision Painting’s strong online reputation to their commitment to performing really good work in the field day in and day out. Congratulations to the team at Triangle Precision Painting for being a 2019 Top Rated Local award winner, and thank you so much, Kyle, for taking the time to speak with us! We highly recommend Triangle Precision Painting in Raleigh. Visit their website today! Top Rated Local® is pleased to announce that AAA House Painting is one of the top three painting contractors in South Dakota for 2019! 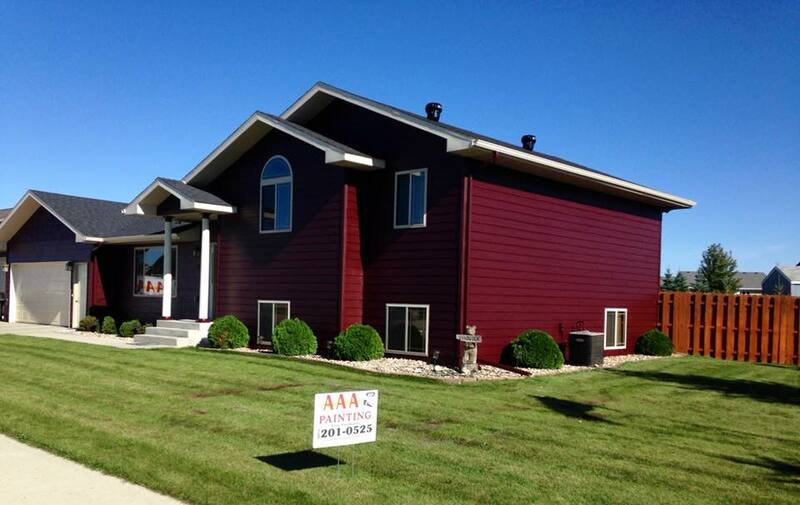 “AAA House Painting painted the exterior and interior of our new house. They also painted the exterior of our old house around 8 years ago. Peter, the owner, does a great job and pays close attention to the smallest details to ensure everything looks great. I would recommend them to anyone and will use their services in the future.” -Matt M.
That’s just one of the many outstanding reviews AAA House Painting has received, giving them a 94.30 Rating Score, a 4.83 average star rating, and a 2019 Top Rated Local award! Peter, a partial owner of AAA House Painting, took a few moments to speak with us about his business’ impressive online reputation. Congratulations to the team at AAA House Painting for being a 2019 Top Rated Local award winner, and thank you so much, Peter, for taking the time to speak with us! 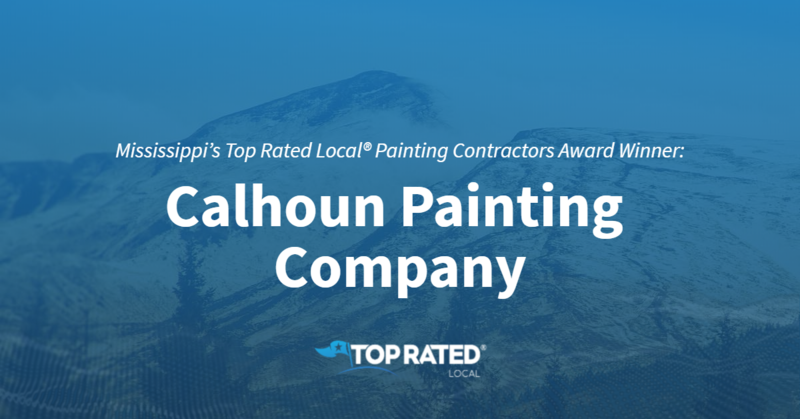 Top Rated Local® is pleased to announce that Calhoun Painting Company is a 2019 award winner for painting contractors in Mississippi! 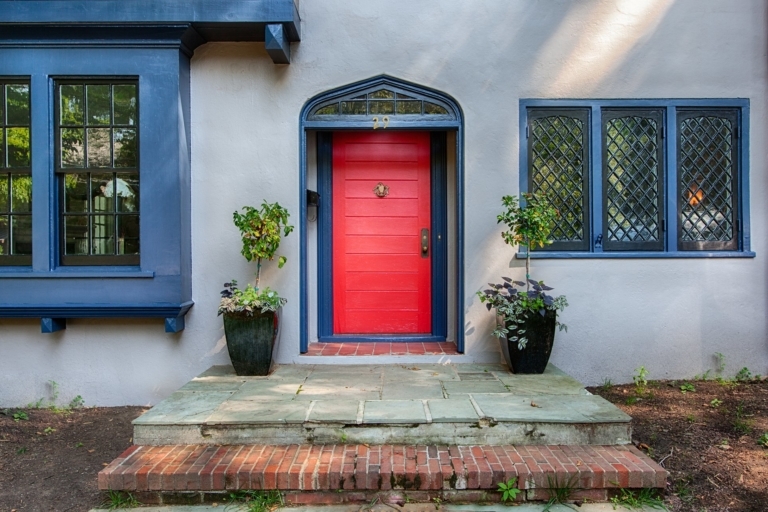 Give your home a facelift inside and out with the experts at Calhoun Painting Company. Calhoun Painting Company has received dozens of reviews on three verified sites with an average rating of 4.84 stars, earning them a fantastic Rating Score™ of 94.35 and a 2019 Top Rated Local award for ranking among the top 10 painting contractors in all of Mississippi! “We called Mark on Monday morning, and he came out for an estimate that afternoon and finished the job a day ahead of schedule. He helped pick out colors for walls and trim while providing a great professional crew that gave us the results we wanted. The crew did a quick job and thoroughly cleaned after completion. At the end of the project, Mark and the crew inspected the painted area with us, correcting spots we didn’t detect but didn’t meet their standards. They even painted an area of trim that was not a part of the project, just to make their customer happy. I would recommend Calhoun Painting Company if you want your painting project to be worry-free. We’ll certainly hire them again.” – Barry P.
Mark Calhoun, the owner of Calhoun Painting Company, generously gave us a few minutes of his time to tell us a little more about his award-winning painting company and its stand-out online reputation. Outside of building a powerful online reputation, Calhoun Painting Company has gotten their name out there largely through word of mouth; however, they also put a sign in the front yards of homes they are working on. Congratulations to the team at Calhoun Painting Company for being a 2019 Top Rated Local award winner, and thank you so much, Mark, for taking the time to speak with us! For all of your interior and exterior painting needs, we highly recommend working with Mark and his team at Calhoun Painting Company. Visit their website today! Top Rated Local® is pleased to announce that KB Painting is a 2019 award winner! “Kate did an amazing job of recommending a color scheme to bring our living area and kitchen to an updated look. She transformed our kitchen cabinets into a high-end look and feel. Gary was able to repair issues that were never right in our home from day one. Kate is great to work with, and her attention to detail is unsurpassed. We love our ‘new’ home!” -Jeffrey O.
Kate Boyd, the owner of KB Painting, took some time to speak with us about her business’ remarkable online reputation. 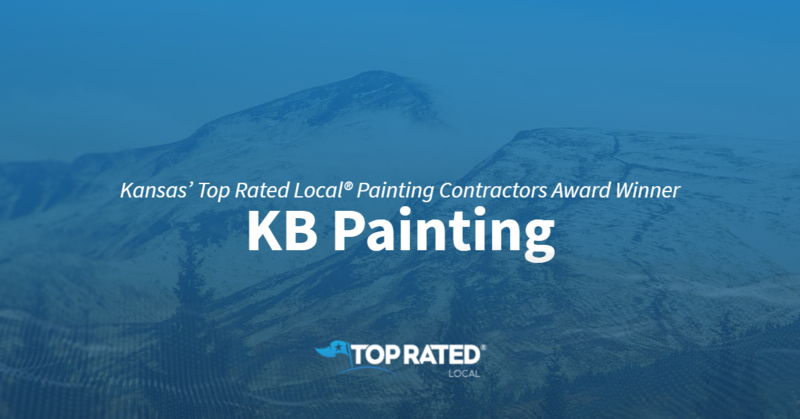 Congratulations to the team at KB Painting for being a 2019 Top Rated Local award winner, and thank you so much, Kate, for taking the time to speak with us! Top Rated Local® is pleased to announce that Greenleaf Painters, LLC is a 2019 award winner for painting contractors in New Jersey! When it comes to residential and commercial painting, you won’t find a better painting company to work with in New Jersey than Greenleaf Painters, LLC. 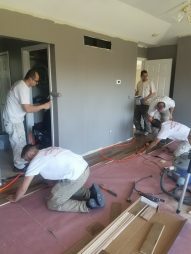 Greenleaf Painters, LLC has received dozens of reviews on five verified sites with an average rating of 4.72 stars, earning them a stellar Rating Score™ of 97.24 and two 2019 Top Rated Local awards — one for ranking among the top 100 businesses in New Jersey and one for ranking among the top 10 painting contractors! “Greenleaf is a great company. They were professional and thorough! The work was completed in a timely manner and looks amazing! I would certainly use them for any future jobs. I highly recommend their services.” – Caley S.
In order to learn a little more about this one-of-a-kind business and its incredible online reputation, we took a few minutes to talk with Jonathon Shenk, the owner of Greenleaf Painters. “We’re using low-VOC, green paint, which is healthier for customers and the environment. We also want to transform the experience that customers have with painters into a positive one! Outside of building a powerful online reputation, Greenleaf Painters has grown through word of mouth. In fact, according to Jonathon, they don’t do any advertising. Congratulations to the team at Greenleaf Painters, LLC for being a 2019 Top Rated Local award winner, and thank you so much, Jonathon, for taking the time to speak with us! 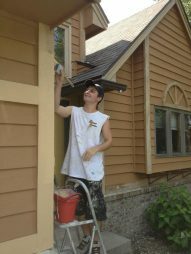 For all of your painting needs, we highly recommend working with Jonathon and his team at Greenleaf Painters. Visit their website today! 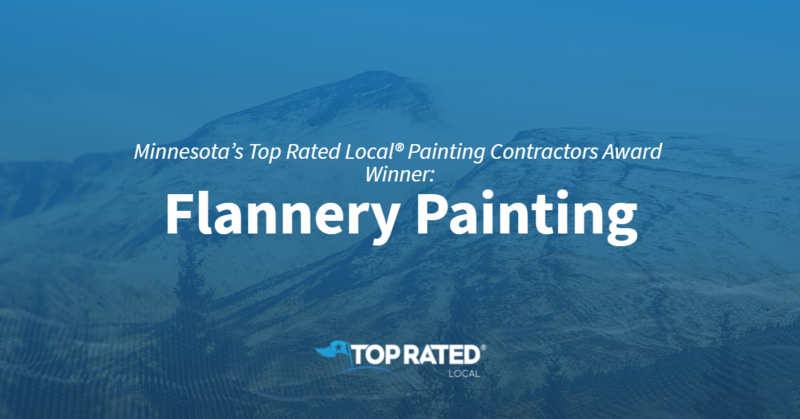 Top Rated Local® is pleased to announce that Flannery Painting is a 2019 award winner for painting contractors in Minnesota! If you have a painting need and are in the market for a contractor with incredible client satisfaction, look no further than Flannery Painting in Eagan. Flannery Painting has over 50 reviews on 3 verified sites with an average rating of 4.94 stars earning them an astonishing Rating Score™ of 95.37 and a 2019 Top Rated Local award for being one of the top 10 painting contractors in the entire state of Minnesota. 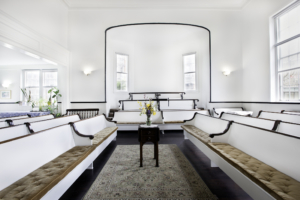 “I have used the Flannery Painting crew on several of my interior design jobs, as well as in my own home. The work they do is so precise and they always have the job finished on time. I love their work and will use them again!” – Colleen S.
We took a few minutes to speak with John Flannery, owner of Flannery Painting, to learn a little bit more about the business and how they managed to build such an amazing online reputation. We also wanted to understand what John and the rest of his team’s mission is every single day. John explained that he knows if he provides exceptional service, his clients will be happy. If they are happy, the clients spread happiness throughout the community and it’s his way of making the world a better place through painting. Outside of simply building a strong online reputation to grow the business, Flannery Painting makes referrals their number one priority. The team routinely asks their clients to recommend them to family and friends as a way of growing their business. Congratulations to the team at Flannery Painting for being a 2019 Top Rated Local award winner, and thank you so much, John, for taking the time to speak with us! Learn more about this business online today. Top Rated Local® is pleased to announce that Four Seasons Painting is a 2019 award winner for painting contractors in Michigan! When it comes to exterior and interior painting in Wixom, no other company beats Four Seasons Painting. Four Seasons Painting has received dozens of reviews on four verified sites with an average rating of 4.72 stars, earning them a phenomenal Rating Score™ of 95.23 and a 2019 Top Rated Local award for ranking among the top 10 painting contractors in all of Michigan! We wanted to learn a little more about this award-winning business and its impressive online reputation, so we took a few minutes to talk with Selia, who has co-owned Four Seasons Painting with her husband, Sam, for the past 20 years. The first thing we wanted to know was what makes Four Seasons Painting stand out among the many painting companies in Michigan. Selia told us that they are a small family business, and that, to them, everyone is important. Selia credits Four Seasons Painting’s strong online reputation to the fact that they treat everyone’s home as if it were their own and that they treat every client with the respect they deserve. Outside of building a powerful online reputation, word of mouth is the main source of growth at Four Seasons Painting. Seila told us that while they did do some advertising when they first started, for the past 10 years, all of their business has come from referrals, which speaks to the high level of service they offer. 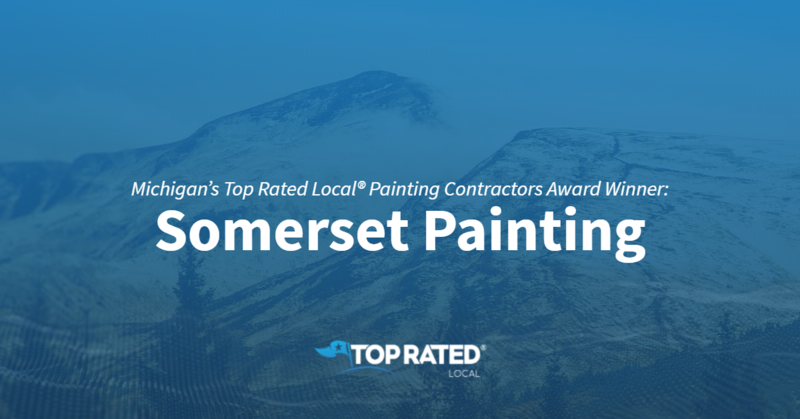 Congratulations to the team at Four Seasons Painting for being a 2019 Top Rated Local award winner, and thank you so much, Seila, for taking the time to speak with us! 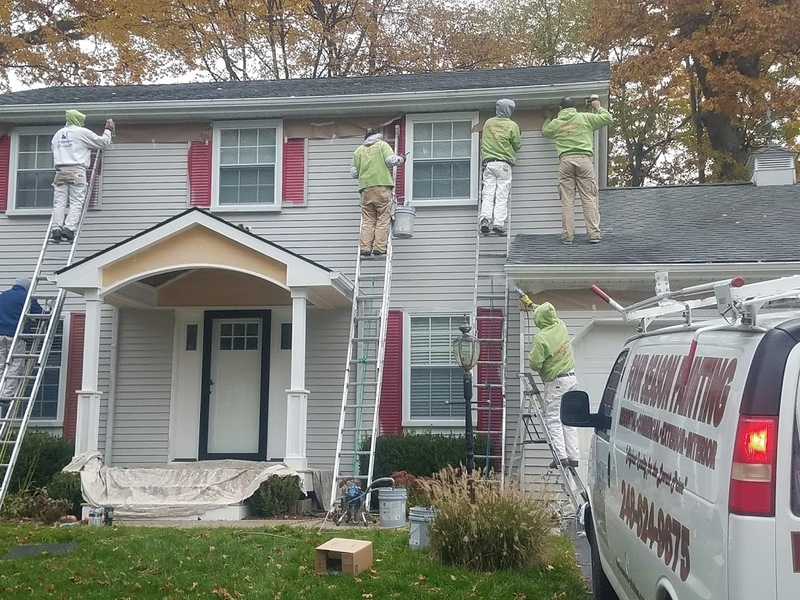 For all of your exterior and interior painting needs in Wixom, we highly recommend working with Seila, Sam and their team at Four Seasons Painting. Visit their website today.